Do you have a whipped cream dispenser? Yes, sir! I’ve had it for a few years now and it’s a great tool. This looks fantastic! Fernet Old Fashioned really is wonderful, and the pineapple foam sounds like it’d be a great way to hit that flavor combination. I haven’t been lucky enough to try a drink with flavored foam yet. How would you describe the intensity of the flavor for smell/taste as opposed to, say, garnishing with a pineapple wheel on the side (not adding juice though)? Or I wonder how the basic drink would be with the use of pineapple bitters instead of Angostura? I don’t have any pineapple bitters, though it’s an intriguing proposal. The foam does not have as strong of an aroma as a wedge of pineapple, but it has a light and pleasant pineapple scent. Foam drinks like this are prime candidates for a lighter and a spray bottle of bitters. I endorse this, but I tried it with angostura and it was kind of dissonant with the rest of the drink, which is why I did not include it in this post. This is a cool recipe. 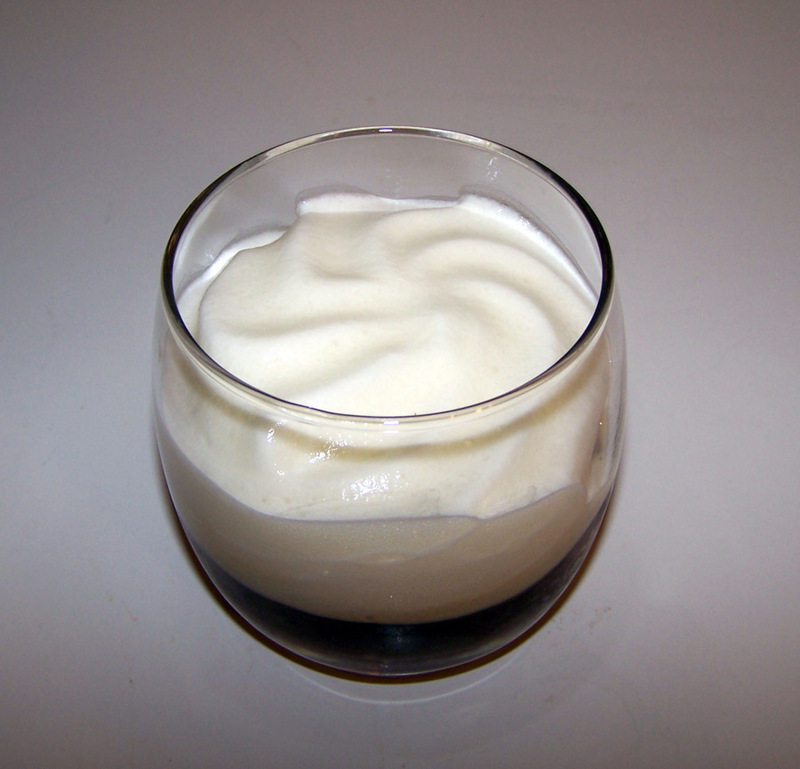 Try putting the foam in the glass first, then adding the drink; it looks a little neater. I tried that with my earlier foam + cocktail experiment and I didn’t really think it made a difference, it just made a hole in the foam, which I plugged with more foam. In fact I thought it looked kind of ugly that way. If you put the foam on top of the drink, you can create this nice rosette pattern. Hmm, that’s interesting. Maybe I never noticed because the drink had a turbinado brulee in the center.